Kristen practices in the firm's Financial Services group with a focus on financial institutions. Kristen represents banks, auto finance companies, debt buyers, and mortgage lenders in consumer lawsuits involving state and federal laws, including the Telephone Consumer Protection Act, the Fair Debt Collection Practices Act, the Fair Credit Reporting Act, the Truth-in-Lending Act and the Real Estate Settlement Procedures Act. Before joining Burr & Forman, Kristen served as the Writing Editor of the Cumberland Law Review. In addition, she was a Judge Abraham Caruthers Teaching Fellow and a Deans Merit Scholar. 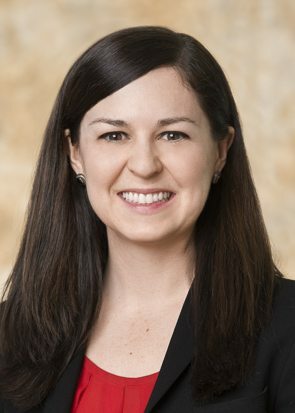 Kristen is also a contributing author to the firms Dodd-Frank Wall Street Reform and Consumer Protection Act Update and Consumer Finance Litigation Blog.